In 10-inch nonstick skillet, heat oil over medium-high heat. Add onion; cook 2 to 3 minutes or until tender. 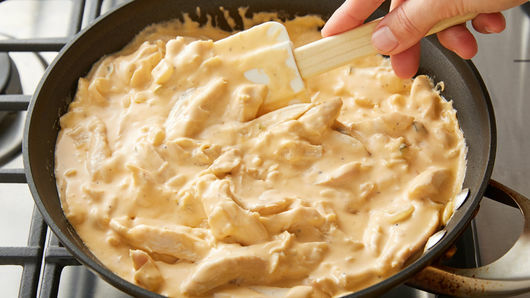 Reduce heat to medium-low; stir in chicken broth, cream cheese spread, pepper and 1 1/2 cups of the Cheddar cheese. Stir frequently until cheese is melted. Add chicken; continue heating 3 to 5 minutes or until heated through. Transfer mixture to baking dish. 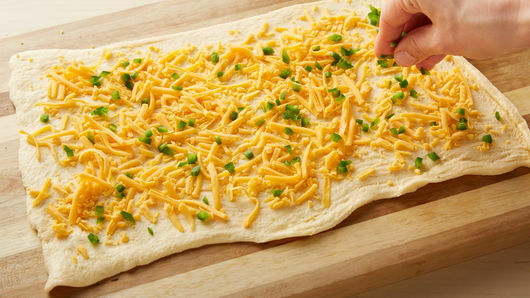 Unroll crescent dough (if using crescent roll dough, pinch seams to seal); sprinkle with remaining 1/2 cup Cheddar cheese and the jalapeño chiles. 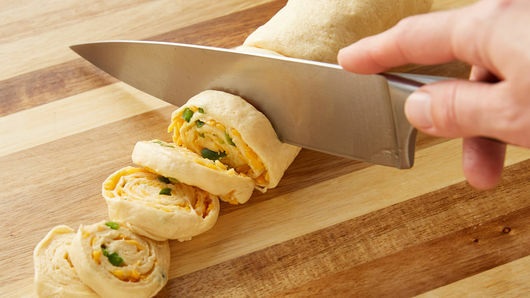 Tightly roll up dough; spray blade of sharp knife with cooking spray, and cut dough into 16 slices. Place on top of hot chicken mixture. Bake 30 to 35 minutes or until crescent dough is deep golden brown and casserole is heated through. Let stand 5 minutes before serving. Spraying the blade of the knife with cooking spray helps prevent sticking when cutting the dough pinwheel rounds. Having a hot casserole base is important so crescent dough bakes all the way through. The spice levels of jalapeños vary naturally. 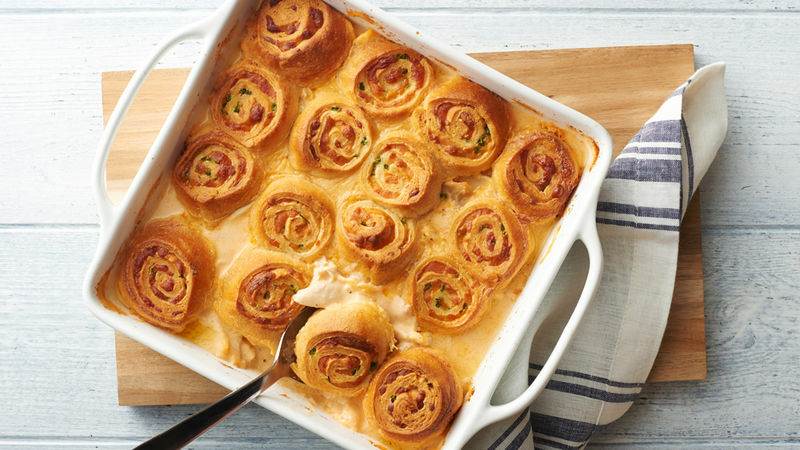 If you prefer more heat, try stirring 1 tablespoon jalapeño into the casserole base, in addition to what's in the crescent pinwheel topping.